There’s an expansion going on in Las Vegas. Yes, that’s right. Someone is banking on the city with the highest unemployment rate in the nation, the home of the housing bust and the city where the term “mothball” has become a common phrase. But it’s not on the strip or another big box store moving in. 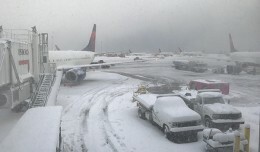 It’s several low cost airlines that are betting on an economic turnaround. Over the last several months passenger counts have steadily risen at McCarran International Airport. After a tumultuous recession, things are starting to bounce back here. More conventions are being held in Las Vegas, more travelers are coming to Sin City for a quick weekend getaway. And to help everyone get to and from the oasis in the desert, airlines are ramping up their service. 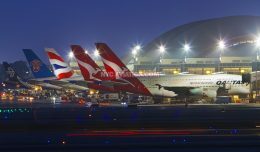 In the previous seven days three airlines announced new routes to and from Las Vegas. Frontier Airlines announced its new route first, Las Vegas (LAS) to Kansas City (MCI). The route does not excite me but I believe Frontier is putting more faith in Las Vegas. Second up for the week was Las Vegas based Allegiant Airlines and its new service to Lafayette, Louisiana. Allegiant’s business model of flying into smaller cities not frequented by airlines is working. 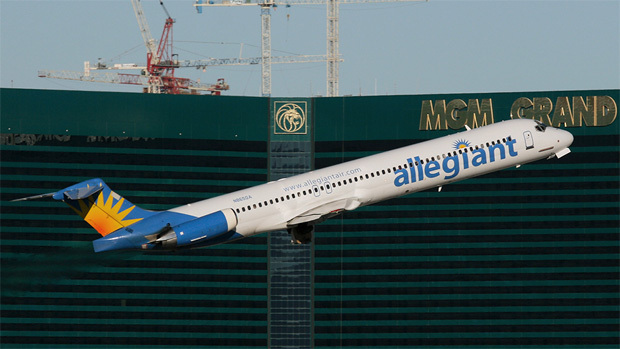 Allegiant’s fares averages about $90 each way and it pulls in roughly $30 per paying passenger in ancillary fees, according to Allegiant’s July 2011 Traffic report. The ancillary fees are for everything from seat selection to checking bags. While it’s a new route, the airline’s big payoff will come once its new 757s get ETOPS certification. Then Allegiant will start flying to Hawaii- going head-to-head with Hawaiian Air. 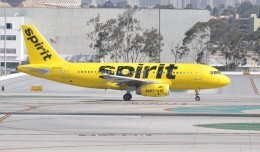 Spirit Airlines ended the week by announcing twice-daily service from Las Vegas to Oakland. This is the one route I found very surprising. The route is already heavily dominated by two airlines. Southwest Airlines flies to both OAK and San Francisco. 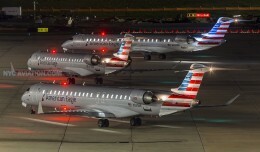 Spirit will also be going head-to-head with Virgin America which flies into SFO. The fee-centric airline made a big splash a few months ago when it started flying from Las Vegas to Los Angeles. Again, another route heavily dominated by other Low Cost Carriers and legacy airlines. Spirit’s new route is advertised at a very cheap fares- from $11 to $29 but there’s a catch- a pricey one. Don’t forget Spirit charges for seat selection, carry-on luggage and checked bags. I think it’s great more airlines are expanding. By expanding, they’re putting faith in the economy, banking on Las Vegas’ come back and keeping people on the job. While I don’t think all the routes will stick in the long run, I believe they have the right idea. With the opening of McCarran’s terminal 3 next year, there will be even more spots to fill at the airport’s older terminal buildings. 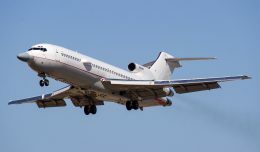 This, in turn, will mean more airlines will have the opportunity to add service to southern Nevada. ANALYSIS: Could Spirit be looking to merge with Frontier? Following last week's abrupt departure of Spirit Airlines CEO Ben Baldanza, ZIna Aziz explores whether the airline's future could include a merger with Frontier Airlines.